Lake Skinner Recreation Area is a Riverside County Park and has a campground with 257 campsites set up in 3 loops that are close to the lake. There are 199 full hookup sites, 18 sites with water & electric and 40 sites with water only. Loop A is closest to the lake and Loop C has the largest campsites. The campsites can accommodate tents, trailers and RVs. Most of the campsites have electric hookups and there are several pull-through sites. Each campsite also has a table, fire ring and grate. Primitive group camping is also available. The campground has drinking water, flush toilets, hot showers, water spigots throughout the loops, horseshoe pits and a playground. Campground quiet hours are 10 pm to 6am. There is a maximum of 6 people and 2 vehicles per site. Pets are allowed, but must be controlled on leashes. There is no swimming in the lake, but you can always cool off at the splash pad! Lake Skinner Recreation Area is a beautiful County Park and is a popular destination for fishermen and families. 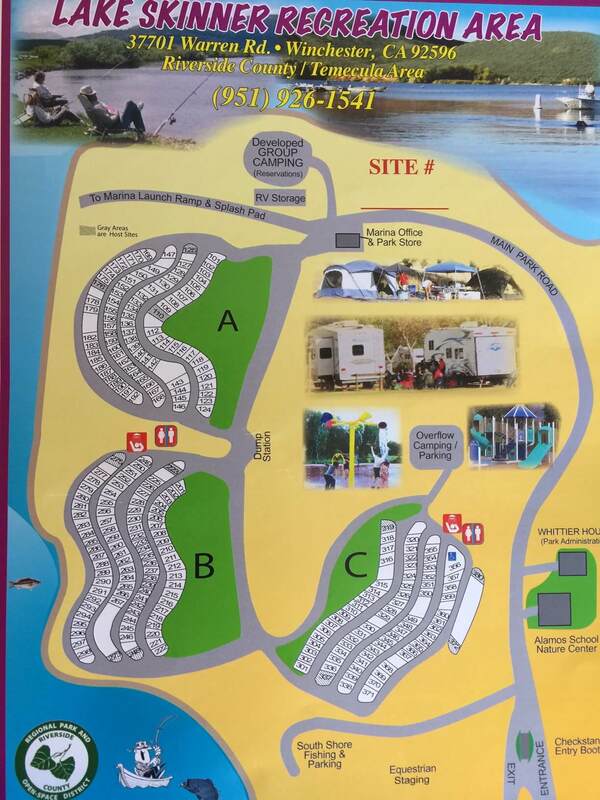 The Park has a marina, 2 boat ramps (one for kayaks/canoes only), a camp store, marina store, boat rentals, splash pad, large amphitheater, day use/picnic areas, 2 playgrounds, an RV/boat storage lot, and a restaurant. The camp store sells gas, propane, fishing gear, food, supplies, wood and ice. Outdoor recreation includes picnicking, fishing, boating, sailing, canoeing, kayaking, horseback riding, hiking, biking and wildlife viewing. 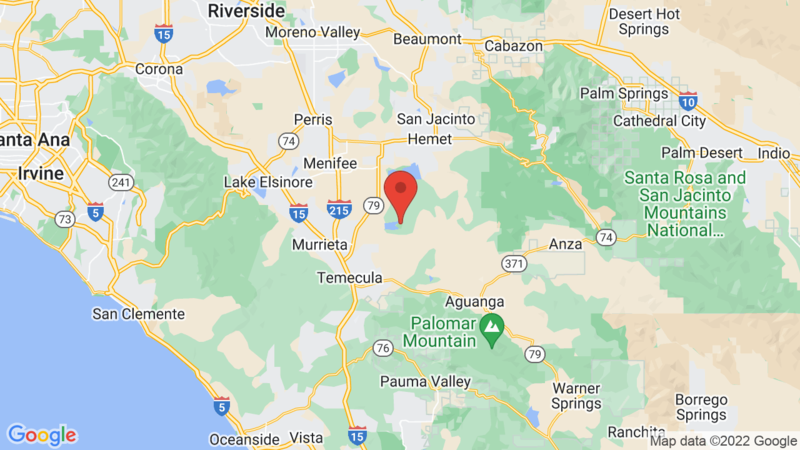 Lake Perris State Recreation Area is also in the area (36 miles to the north) and has 431 campsites for tents, trailers and RVs. Visted Lake Skinner Campground lately? We'd love to hear about your adventure. Did you find us useful? Did we forget something? Anything our community should know before heading out to Lake Skinner?